On the back of a highly successful 12 months, Eliza Park International has announced the service fees for its Victorian stallion roster. “It’s been a remarkable period for Eliza Park International … a real benchmark,” EPI’s Sales and Nominations Manager, Mark Lindsay, points out. “Every aspect of the farm is firing on all cylinders. This autumn alone we’ve seen Pasadena Girl, a 2YO we sold, capture the Group 1 Champagne Stakes, while Ready For Victory (a stakes winner on debut) and Serenade, who race in our colours, both performed extremely well in the Golden Slipper. Our Racing Division broke in and pre-trained both of them too, and looked on as Watermans Bay, who had some R&R at our Kerrie property, before racing on to Group success. “It certainly gives us plenty of confidence – and confidence for all our clients – heading into the 2015 season. Last spring, for instance, we introduced two new stallions in Fiorente and Fighting Sun, with both covering massive books. In light of his Melbourne Cup and Australian Cup victories (not to mention the likely influence of his phenomenal sire, Monsun) Fiorente attracted the largest book of any first season sire in Australia (186 mares), while we had to put a ceiling on Fighting Sun’s book as he had only just turned three. Even still, he covered 147 mares and already the enquiries are flooding in for him in 2015. “Magnus has definitely upgraded his CV too with Magnifisio living right up to her name by winning six black type races, in particular the Group 1 Winterbottom Stakes and is now firmly entrenched in Australia’s Top 20 sires by winners. Magnus is lighting up a global stage too with The Alfonso recently winning the Group 1 Macau Derby by over five lengths. “Another Group 1 winning sprinter in Wanted has had his fee reduced to $16,500 in 2015 which will be great news to the his wide bench of supporters – especially among trainers like Gai Waterhouse who paid $220,000 for a Wanted colt at this year’s Gold Coast Magic Millions, while, in March, Hawkes Racing forked out $180,000 for a colt and $115,000 for a filly … clearly seeking another Surf Seeker! “Statue of Liberty remains one of the most underrated stallions on our roster: he’s a tremendous speed source and horses like Dawn Approach, Liberty’s Gem and Lucky Liberty – who won his first three outings – are all great examples of what he continues to produce. “It comes as no surprise that Moshe’s first crop sold so well in the summer but the fact that relatively few were made available is a clear indication that many breeders are keeping them to race. Being a full brother to Black Caviar is one thing, but it only takes you so far … that he has served well over 100 mares in each of his three seasons at stud speaks volumes for the type of foals he’s producing. 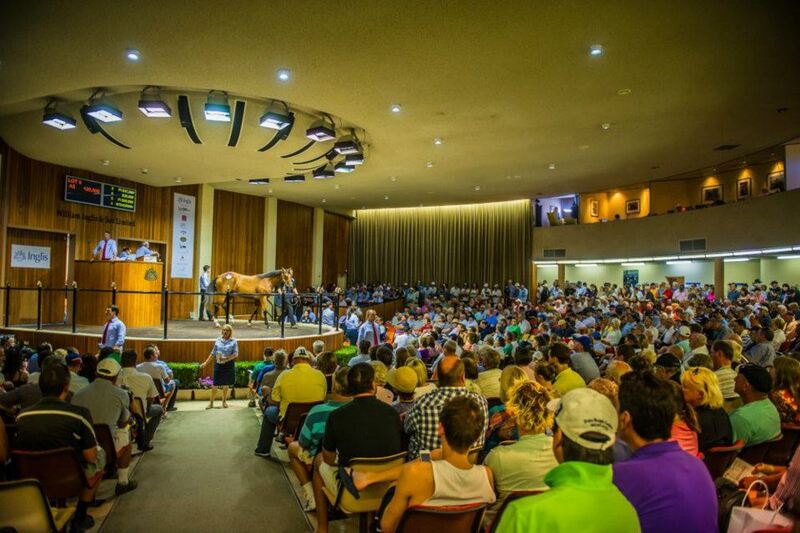 “Squamosa’s first crop head to 2016 yearling sales and so too should anyone interested in a ready-made racehorse. He was lightning on four legs and we’re tipping the acorn won’t fall far from the tree. 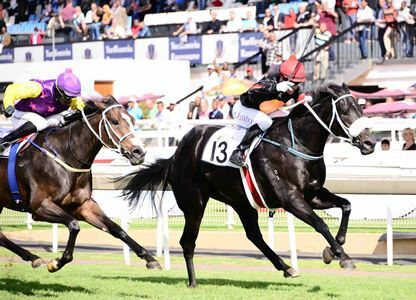 “And don’t forget Sharkbite – he had two black type horses in three days with Siorca and Shayana, while other recent city winners include Sasenkile, Andrassy and Mako Magic. “And the best part of all? 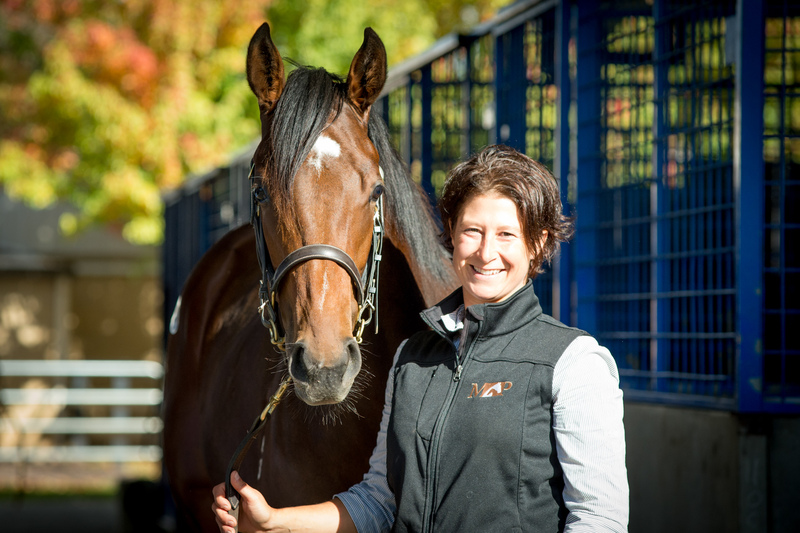 Eliza Park International will again be offering its LIVE FOAL PAYMENT – in other words, you don’t pay the service fee until you get a live foal, which has been a real plus for broodmare owners. 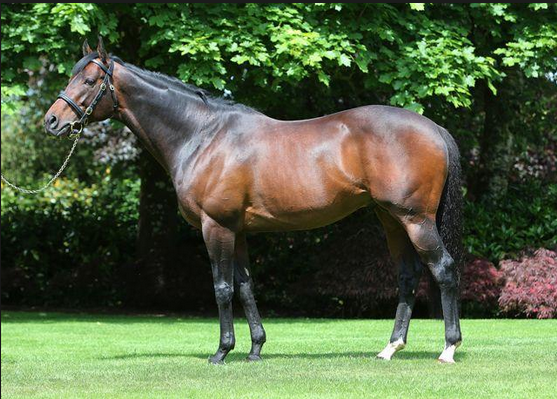 Blue Gum Farm shuttler Canford Cliffs was represented by his first winner on Tuesday when Thee And Me won the British Stallion Studs Stakes (1020m) at Wolverhampton. Trained by Bill Turner in Dorset, the colt made all the running to defeat short-priced favourite Rainbow Rebel. He had been well beaten at Beverley on debut but stayed on to score by over a length. Thee And Me (2c Canford Cliffs – Lake Ladoga by Green Desert) was bred by Pat Fullam and made 25,000 euros (AUD 36,185) at the 2014 Goffs October yearling sale. His dam is a sister to LR Radley Stakes winner Secret Charm and she’s a half-sister another Radley Stakes winner Relish The Thought (Sadler’s Wells) who was also placed in the 2001 G1 English Oaks. Canford Cliffs (Ire) was a top-class two-year-old winning the G2 Coventry Stakes by six lengths before returning to score at Group 1 level in the Irish 2000 Guineas, St James’s Palace Stakes and Sussex Stakes at three. He trained on for further Group 1 victories in the Lockinge Stakes and Queen Anne Stakes at four. There have been four first-crop Canford Cliffs in action to date and he came close to breaking through on Monday when his filly Aktoria was runner-up at Chantilly. Blue Gum Farm will stand Canford Cliffs for a $13,750 (inc gst) service fee this year. World Champion Miler and five time Group One winner. First European 2yos this year. Consistent Melbourne Premier Yearling results with first crop members fetching up to $150,000 (twice). Entering the stables of Mick Price, Lee Freedman, Paul Perry, Mark Kavanagh, Robbie Laing, Darren Weir, etc. A leading Second Season Sire. Sire of Million Dollar earner and Group Two Edward Manifold Stakes winner Fontein Ruby from his first crop and Group Two Blue Diamond Prelude winner Fontiton from his second crop. 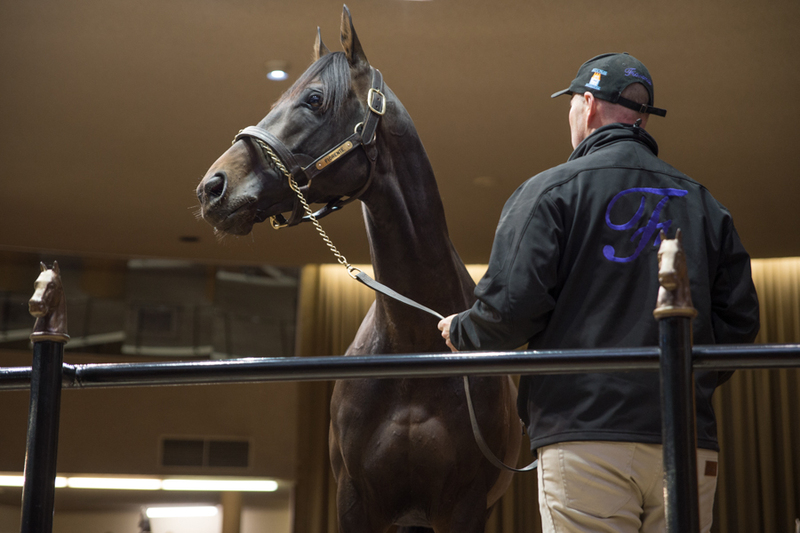 His third Crop yearlings this year have sold up to $170,000. A magnificent looking young grey stallion, he was a Million Dollar earner and Group One performer from 1400 to 2000 metres. By proven sire Verglas and that stallion’s highest earner amongst 39 individual stakes winners worldwide. Highly talented and lightly raced son of More Than Ready. Winner of the stallion making Group Three Up and Coming Stakes. Half-brother to 2015 Group One winner Fenway. 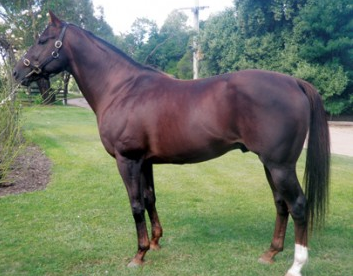 Closely related to Champion More Joyous and Champion Sire Thorn Park. Marvellous performer who continues to produce winners week in and week out. 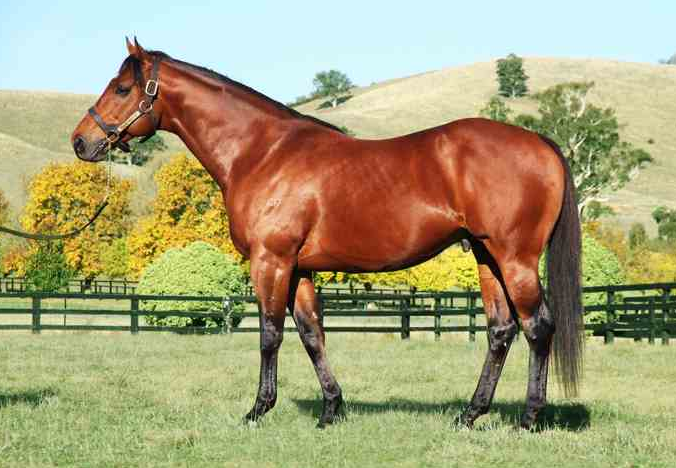 Sire of this season’s Group One VRC Emirates Stakes winner Hucklebuck amongst a total 12 individual stakes winners. Career progeny earnings now through $18.7 million. Blue Gum Farm looks forward to discussing your breeding requirements for this season. Group 1 winning sprinter Jimmy Creed (USA) has been added to the Spendthrift Australia roster for 2015. Jimmy Creed (Distorted Humor) retired to Spendthrift’s Kentucky farm last year after victories in the G1 Malibu Stakes (1400m) and G2 Potrero Grande Hcp (1300m) at Santa Anita. 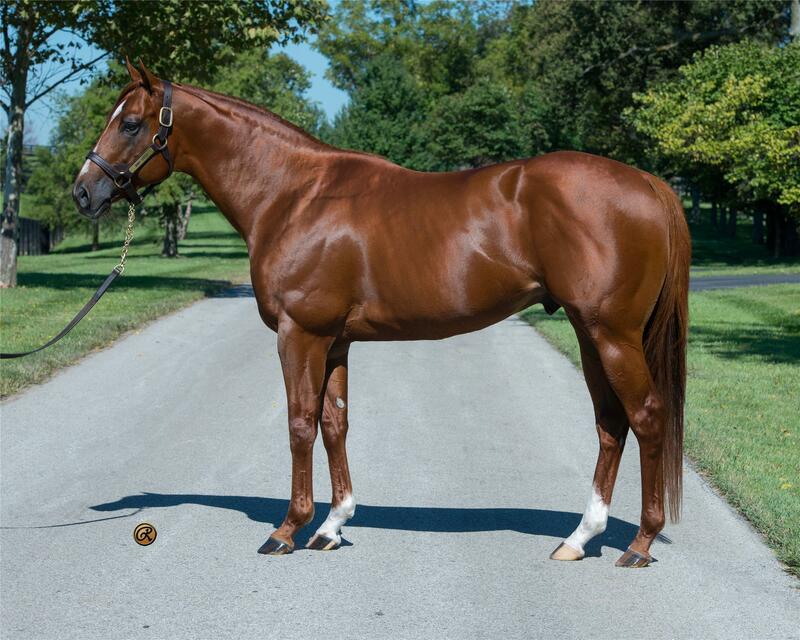 Jimmy Creed is from Hookedonthefeelin (Citidancer) and cost Hughes $900,000 at the 2010 Keeneland September yearling sale. His dam won the 1999 G1 La Brea Stakes at Santa Anita and she also foaled 2005 Le Brea winner Pussycat Doll. Jimmy Creed’s sire Distorted Humor (Forty Niner) has been represented by 124 stakes winners, including 7 in Australia, after shuttling to Independent Stallions in Victoria in 1999 and 2000. Spendthrift Australia is rolling out the first roster for its new Victorian farm at Romsey – Jimmy Creed joins Warrior’s Reward (Medaglia d’Oro) and there will be more additions in the weeks ahead. Jimmy Creed’s “Share The Upside” fee will be $11,000 (inc gst) and he will also be offered at $8,800 (inc gst) on a standard live foal contract. 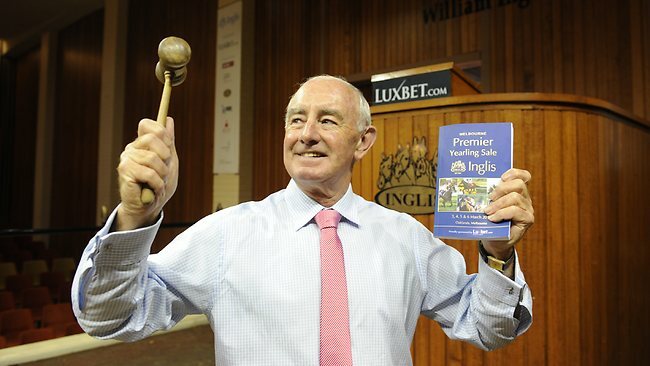 Inglis has announced Peter Heagney will step down as its Victorian Manager on June 30. Heagney will make way for Simon Vivian but will continue to serve the company as a Director and Auctioneer and will be very active at all Inglis sales and major events. Replacing Vivian as the Senior Bloodstock Consultant in Victoria will be James Price who will return to his hometown of Melbourne. He joined Inglis as an intern nine years ago before moving to Sydney. Peter Moody’s four year-old Wild Fire swooped late to land the VOBIS Gold Bullion (1400m) at Racing.com Park at Pakenham on Sunday. Wild Fire was bred by David and Kathy Brown of Miscellany Bloodstock. His dam Seamstress (Rory’s Jester) won twice at the Healesville picnics for the couple who are based north of Melbourne. Seamstress is a sister to the Rory’s Jester 2yo stakes winners Real Jester and Seidnazar and they are both active at stud. The Browns bred the mare back to Stratum last year. Zoustar has highlighted Woodside Park’s recent stallion parades and he’s been popular with breeders at a $44,000 (inc gst) service fee. The Group 1 winning sprinter covered his first book at Widden Stud in 2014 and will stand in Victoria this year as part of an alternate arrangement between the two operations. Written Tycoon also stands at Woodside Park and he continues to climb up the Australian sires’ table with the winners of 123 races this season and over $4.02 million in prizemoney. He sired Rich Enuff to a Group 2 victory in the Danehill Stakes at Flemington during the spring carnival and his black-type winners this year include Tycoon Tara, Vibrant Rouge and Written Dash. Woodside Park has bought the rights to stand Rich Enuff and he’s back in work after missing the autumn carnival with a tendon injury. The brilliant front-runner completed hat-trick in the McKenzie Stakes, Danehill Stakes and Guineas Prelude earlier this season before finishing a brave second in the G1 Caulfield Guineas. Darley has announced its 2015 service fees and leading the Northwood Park roster in Victoria is Group 1 newcomer Brazen Beau. 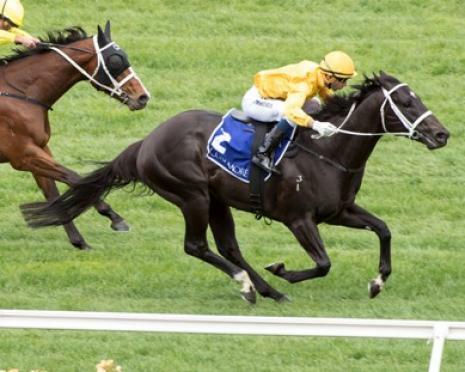 Brazen Beau (I Am Invincible) won the G1 Coolmore Stud Stakes and G1 Newmarket Hcp at Flemington this season and he holds Group 1 nominations for the King’s Stand and Golden Jubilee Stakes at Royal Ascot. He will stand for an introductory fee of $44,000 (inc gst). “It’s been another fantastic 12 months and we’re very proud of our achievements,” Darley’s Australian sales manager Alastair Pulford said. “Our stallions have sired the winners of 24% of the Group races run in Australia this season, including 11 Group 1 victories. Group 1 Caulfield Guineas winner Helmet (Exceed And Excel) had 26 first-crop yearlings average $93,192 at Melbourne Premier and he is available at an unchanged fee of $33,000 (inc gst). Darley’s Seymour property is also home to Reset (Zabeel) who currently leads the Victorian sires’ premiership with earnings of $4.38 million. 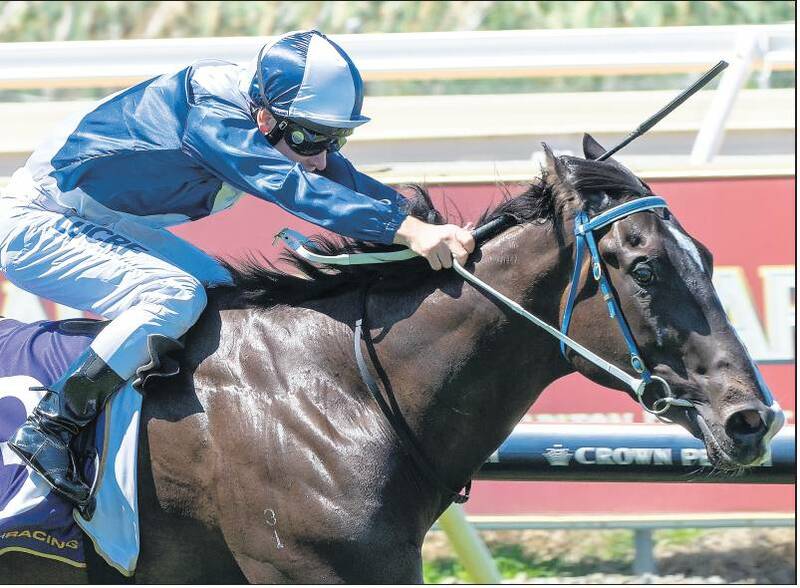 He has sired this season’s Group 1 winners Fawkner (Caulfield Stakes) and Set Square (VRC Oaks) and remains at $16,500 (inc gst). Domesday (Red Ransom) will stand for a reduced $13,750 (inc gst) fee while Kentucky shuttler Street Boss (Street Cry) – $11,000 (inc gst), Kuroshio (Exceed And Excel) – $8,800 (inc gst) and Skilled (Commands) – $6,600 (inc gst) are all unchanged. Rosemont Stud bred filly Alboran Sea has netted her third Group 1 success on Champions Day at Turffontein. Alboran Sea (3f Rock Of Gibraltar – Lady’s Light by Toolighttoquit) was too quick for her opposition in the G1 Computaform Sprint (1000m) on Saturday winning by three-quarters of a length from Captain Of All (Captain Al). Mike de Kock trains the filly for owners Michael Javett and Mary Slack after she was purchased for $105,000 from Rosemont’s draft at the 2013 Inglis Premier Yearling Sale. She had already won at Group 1 level in the Cape Flying Championship at Kenilworth and Allan Robertson Fillies Championship at Scottsville. Rosemont Stud owner Anthony Mithen bred Alboran Sea after buying her dam for just $20,000 at the 2011 Inglis Easter Broodmare Sale. A USA import, Lady’s Light was culled by Coolmore Stud carrying Alboran Sea. The mare has since foaled colts by Toorak Toff and his Rosemont colleague Starspangledbanner. Oakford Farm graduate Authoritarian is heading for higher grades after a three-length victory in the Listed VRC St Leger (2800m) at Flemington. The son of 2007 English Derby winner Authorized controlled Saturday’s race from the front of affairs and stayed on strongly for a three length victory over Cuban Fighter (Teofilo) and Gifted Lad (Zabeel). The Freedmans bought the grey from Brian McKnight’s Oakford Thoroughbred Farm in Maldon. 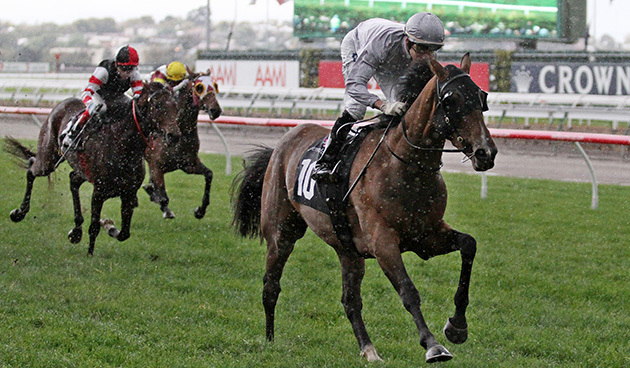 He cost $52,000 at the 2013 Inglis Melbourne Premier Sale and has now earned $146,585. Authoritarian (3g Authorized – Special Dream by Stravinsky) is a half-brother to winners by Hawk Wing, Fantastic Light and Artie Schiller. His sire Authorized (Montjeu) shuttled from Dalham Hall to Darley Australia for four years until re-routing to Chile in 2013. Oakford Thoroughbreds sold a colt by Darley sire Domesday for $30,000 at last month’s Melbourne Premier Sale. The colt was claimed by Austy Coffey of Swan Hill. Liberty’s Gem is on track for Perth’s winter season after a successful return to racing in the Westspeed Hcp (1200m) at Ascot. Liberty’s Gem (3g Statue Of Liberty – All That Sparkles by Rubiton) had been off the scene since winning the LR Placid Ark Stakes and G3 Sir Ernest Lee-Steere Classic in December. “It was a soft win today and I’m glad the owners knocked back offers from Hong Kong late last year,” Miller admitted. “They’re both successful businessman and race him for fun! Liberty’s Gem was an $80,000 buy at the 2013 Inglis Classic yearling sale and he will head to the $100,000 LR Belmont Guineas (1600m) on Saturday, June 20. Statue Of Liberty is based at Eliza Park International and his yearlings sold up to $100,000 at the Inglis Premier Sale last month. Trainer Tony McEvoy paid top price for the colt related to Flemington Group 3 winner Mr Chard. Liberty’s Gem’s dam All That Sparkles was bred back to Statue Of Liberty last year. She’s a half-sister to Golden Pedigree (LR Queen of Adelaide Stakes) and the dam of The Verminator (G1 Metropolitan). 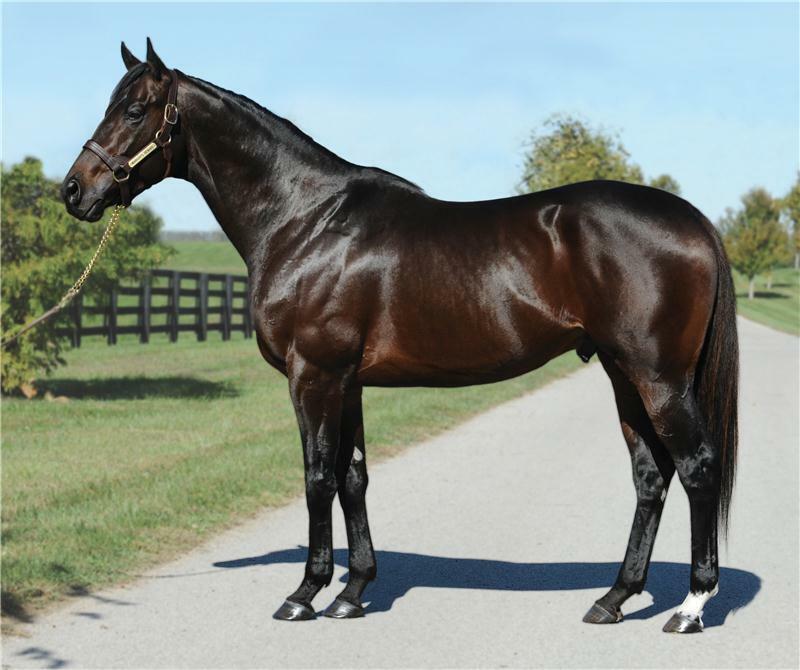 Street Cry stallion Globetrotter will serve his first book at Highpoint Lodge this year. Owner Damian White initially imported Globetrotter (USA) to stand at Avenel after a Group 3 win at Woodbine. He was also credited with a G1 Hollywood Park placing in the Charles Whittingham Memorial. Globetrotter’s oldest winners are three year-olds and he also sired recent VOBIS Gold Rush runner-up Bundy Red. His service fee has been set at $5,500 (inc gst). There are other incentives to be a part of his first book at Highpoint Lodge. They include a $595 basic vet package and agistment costs of $1,100 for 70 days for wet and dry mares. McDonald can be contacted on 0412 574 394. RACE 5 – 1400m VOBIS Gold Bullion 4yo Set Weights & Penalties VIC SIRED RUNNERS – 1 Baron Archer, 2 Benchi Pegasus, 3 Cordoba, 7 Mr Walker, 8 So Does He, 9 Soosa Rama, 11 Miss Maggiebeel, 12 Whistle Baby, 13 Hot Ruby, TEMPO – Expecting a tempo that will suit those in the first half of the field, or with the best turn of foot Baron Archer, Mr Walker, and Hot Ruby are the likely leading pack. RACE OVERVIEW – Great result for VIC sired horses here with Bel Esprit and Magnus both with multiple runners proving their consistency. This looks like the ideal race for LORD DA VINCI which should be about ready to peak now after three runs back from a break. Much to like about his last two runs at Bendigo and then Caulfield when a sectional star on both occasions, his effort last week when home in a sizzling 22.91/11.78 the last 400m and 200m, some of the best late splits of the day. Sam Pritchard-Gordon has given the horse a good grounding at 1000m -1100m in those three runs to get the horse to settle off a strong tempo, if he settles again stepping out to 1400m he has this race at his mercy. DEL PRADO will go off at double figure odds here and is a big chance on his last run. Ignore the “0” in the form guide, the horse was utterly luckless at Bendigo when caught back and very wide without cover, pushed even wider again off the turn. If you watch him late through the line and pick up his final 400m splits he was actually very good in that race. SOOSA RAMA and SO DOES HE will be around the mark, but fancy that this is a race that will be fought out between the top two selections. Trainer Darren Weir declared it’s ‘all systems go’ for Trust In A Gust’s Brisbane campaign after his first-up run at Caulfield. The G1 BTC Cup (1200m) is his next assignment at Doomben on May 9 followed by the G1 Doomben 10,000 (1350m) on May 23 and G1 Stradbroke Hcp (1350m) on June 6. He will then retire to Swettenham Stud for an introductory service fee of $13,200 (inc gst). There are also a limited number of Lifetime Breeding Rights available which will sell out quickly if he’s successful in another Group 1 in Queensland. Weir is rapt with the way Trust In A Gust has come through Saturday. “I’m looking forward to more natural improvement in Queensland,” he said. “He’s so reliable and the pressure in the big sprints up there will certainly play to his strengths. Weir knew Trust In A Gust had ability from the outset and the colt was VOBIS Horse of the Year as a three year-old before developing into a genuine Group 1 horse this season. “You raise the bar and he goes with it,” Weir explained. “He can do it tough and will still give a good kick. Lifetime Breeding Rights are available for $30,000. For further information, breeders should call Swettenham’s Sales & Marketing Manager Chris Belli on 0417 514 552. Spendthrift Australia has announced Group 1 winner Warrior’s Reward will be the first stallion to shuttle to its new Victorian base at Romsey. Warrior’s Reward will offer Australian breeders a similar opportunity as American breeders received through Spendthrift’s “Share The Upside” program. In one of the fastest starts by a freshman in history, Warrior’s Reward’s first 8 starters won on debut from Santa Anita to Saratoga in 2014. And his G1 Wood Memorial runner-up Tencendur is among the contenders for Saturday week’s G1 Kentucky Derby. “Warrior’s Reward sold out quickly on “Share The Upside” in America, and breeders who took advantage of the program now have a lifetime breeding right in an up-and-coming young sire,” Hughes added. “His first crop was so successful that we were able to increase his stud fee on the open market from US$15,000 to US$25,000. Share The Upside is a breeder-friendly program that offers a limited number of opportunities per stallion on a first-come, first-serve basis. Breeders can secure a spot with a $275 one-time deposit, and then sign two stands-and-nurses contracts to breed a mare in 2015 and 2016. Once two foals have been produced and the stud fees have been paid on both live foals, the breeder earns a lifetime breeding right starting as early as the 2017 breeding season. The breeding right continues annually and throughout the breeding life of the stallion, and there are no further expenses to the breeder associated with the care and advertising of the stallion. His “Share The Upside” fee will be $13,750 (inc gst) and he is also available at $11,000 (inc gst). 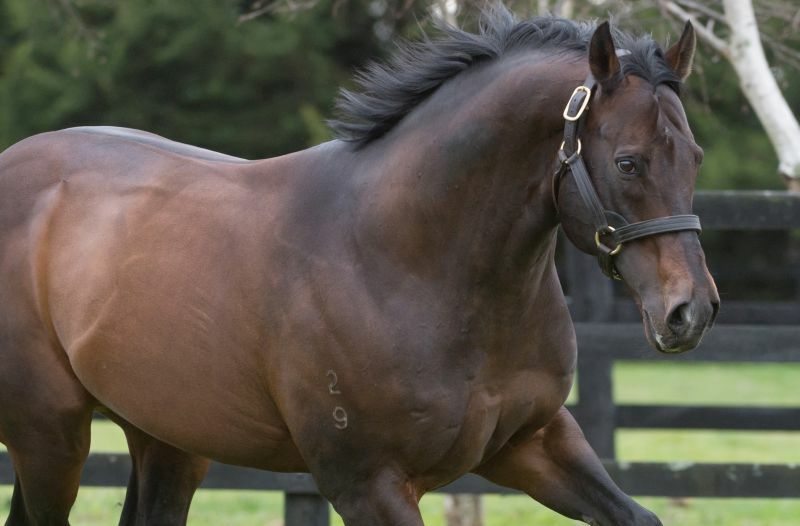 Eliza Park International has transferred champion sire Bel Esprit from Victoria to its Innisplain property in Queensland. “Breeding in Australia is no longer just a ‘State’ issue, with stallions moving around more and more,” EPI manager Mark Lindsay said. “We are fully committed to our operations in Victoria and Queensland, but really see our business as having national appeal. It’s not the first time Eliza Park has transferred a champion sire from Victoria to the Sunshine State. 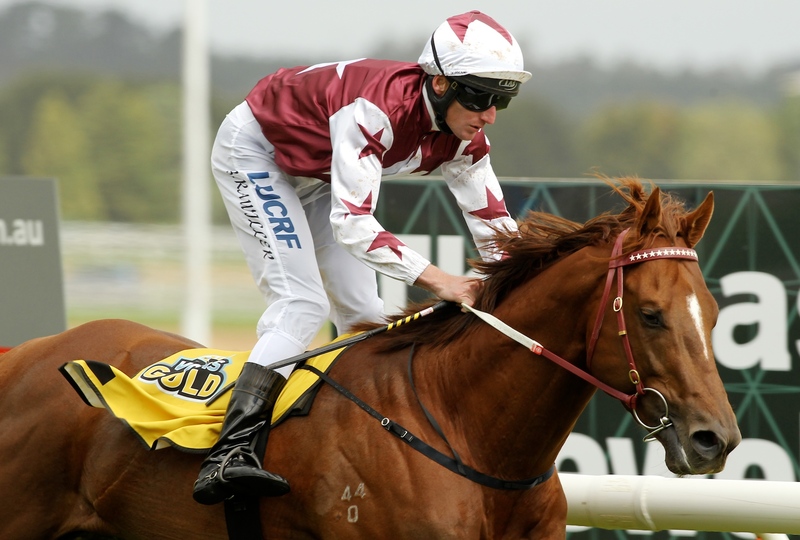 Champion freshman Written Tycoon moved north when previous owner Lee Fleming opened the Queensland division in 2012. Bel Esprit (Royal Academy) retired to stud in 2003 and sired world-champion Black Caviar in his third crop. He has averaged 120 mares in his last five books at fees fluctuating between $33,000 and $24,200. Eliza Park International has placed an $18,700 (inc gst) fee on his services at Innisplain this year. The VOBIS Gold Sale has recorded across-the-board gains at Oaklands Junction highlighted by a record clearance-rate of 87%. 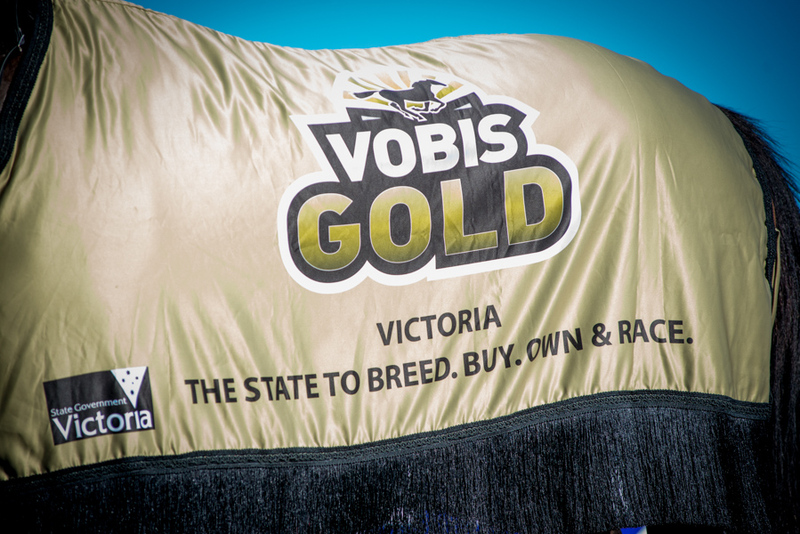 “The benefits from Super VOBIS and VOBIS Gold are too good to overlook,” Inglis director Peter Heagney said. “It was pleasing to see many new faces as well as our regular buyers bidding for the great prize money and bonuses in the schemes. Day 1 on Sunday saw Lang Lang vendor Silver Ferns Farms top the session with a Rothesay – Madam Bubbles colt bought by Laming Racing for $62,000. Day 2 surpassed that figure with two lots that made $90,000. The Star Witness x Strikeline filly (Lot 313) from Golden Grove took over at the top of the leader-board and she was joined by a So You Think x Danaupair Starlet colt (Lot 333) from Woodside Park Stud. Premier Victorian trainer Darren Weir was the leading individual buyer with six yearlings for a total of $150,000. The Best Presented draft was awarded to Greta West based vendor Bucklee Farm. Moorookyle Park has bolstered its roster with the news brilliant Blue Diamond Preview winner Cecconi will be repatriated to Victoria. 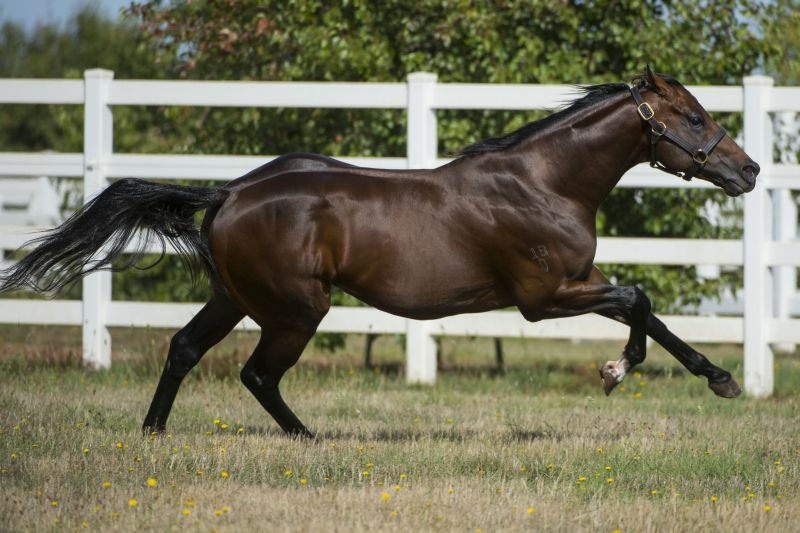 Cecconi (Encosta de Lago – Tonicity by Blazing Sword) has been based at Gerry Harvey’s Westbury Park in New Zealand and the best of his winners has been second-crop filly Precious Sophia. She is trained by Graeme Rogerson and, after winning at Wanganui, was runner-up to star filly Ruud Awakening in the LR Wellesley Stakes at Trentham. Moorookyle Park is home to Ustinov, Widden Valley and Rockaroundtheclock. The Smeaton based nursery sold three Ustinov yearlings at the VOBIS Gold Sale including the filly from Poetic Dancer that caught the eye of Cranbourne trainer Dyta Clarke. 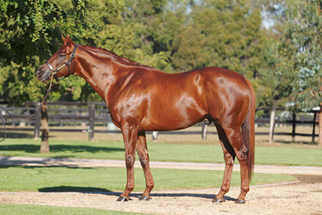 Chatswood Stud freshman Reward For Effort sired his 6th first-crop winner when Tender Mist was successful in the Southern Masonic Juvenile Plate (1450m) at Turffontein. Tender Mist (2f Reward For Effort – Diva Dance by Danehill Dancer) is prepared by legendary trainer Ormond Ferrraris and sprinted clear for a two-length victory at her second start on Saturday. 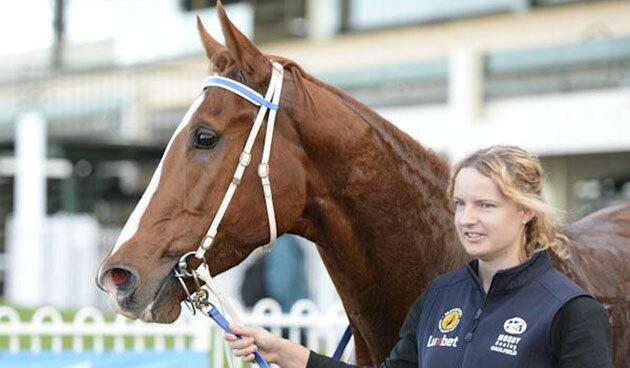 She was sent to South Africa after making $37,000 at last year’s Inglis Melbourne Premier Sale. Reward For Effort and his fellow Chatswood stallions Anacheeva and Purrealist reached an 89% clearance rate at the VOBIS Gold Sale from a combined total of 28 yearlings that paraded on Sunday and Monday. A Group 1 winner of the 2009 Blue Diamond Stakes, Reward For Effort is third on the Australian first-season premiership with 5 winners for earnings of $337,215. He stood at Chatswood for an $11,000 (inc gst) service fee last year. Eliza Park International and trainer Peter Moody combined for more Group 1 success with Pasadena Girl and The Alfonso on Saturday. Pasadena Girl won the ATC Champagne Stakes (1600m) at Randwick and two hours later The Alfonso scored a dominant five-length victory in the Macau Derby (1800m). They’re the latest Group 1 winners for Eliza Park and Moody following Bel Esprit heroine Black Caviar. Pasadena Girl (Savabeel) powered home for a half-length victory in the final-leg of the Sydney 2YO Triple Crown at The Championships. She sold for $25,000 through the Eliza Park draft at the 2014 Inglis Melbourne Premier Sale and has now earned over $458,000. Pasadena Girl had won the LR Talindert Stakes on debut and G3 TBV Stakes at Flemington before travelling to Sydney. She’s the first foal from Redoute’s Choice mare Nina From Pasadena who was bred by Emily Krstina owner Tony Santic. The Alfonso (Magnus) had a rushed preparation for the Macau Derby after arriving from Australia in February. 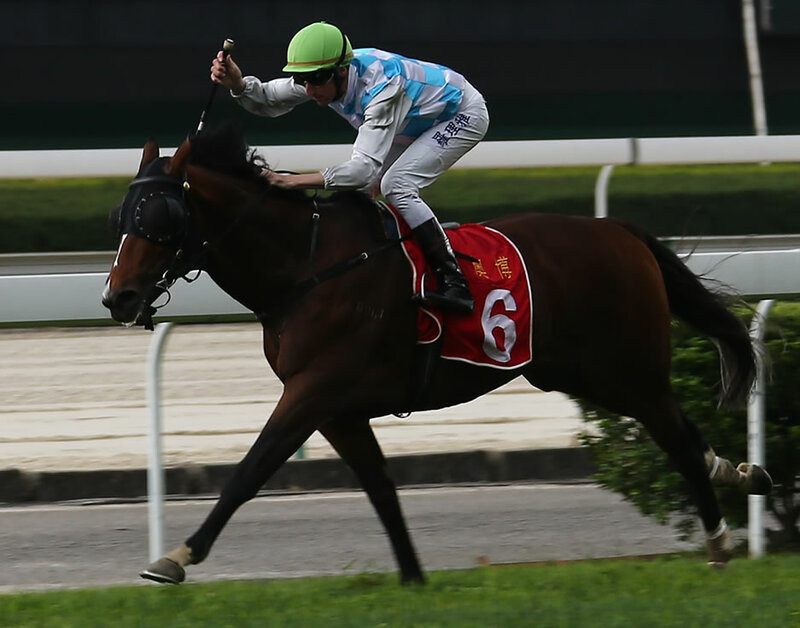 After an unplaced run first-up in the Macau Guineas, he was always travelling like a winner for Nash Rawiller on Saturday. The Aussie hoop had time to salute before the post and was fined HKD1,000 (AUD 165) for a celebratory gesture. The Alfonso was bred by Moody and had won at Warwick Farm earlier this season. He’s an older half-brother to recent Ascot debut winner Jevilla (Reward For Effort). Magnus was also trained by Moody and is a half-brother to the dam of Black Caviar. He stood for a $16,500 service fee at Eliza Park International last year.